Nexion Travel Group allows you to build the package that works best for you. You choose your plan and select the appropriate add-on options. You can change plans and add-on options at any time to meet your changing business needs. Changes take effect on the first of the month following a 30-day advanced notice. There is a $99 per agency set-up fee to add a GDS to your account for either Standard or Deluxe GDS package; includes choice of one GDS (Amadeus / Apollo / Sabre / Worldspan). All GDS users within an agency must be on the same GDS package, but not all members within an agency need to be GDS users. NEXstart and NEXstart Lite members cannot enroll in a GDS plan/package. Nexion Travel Group has earned numerous industry awards and supplier recognition. 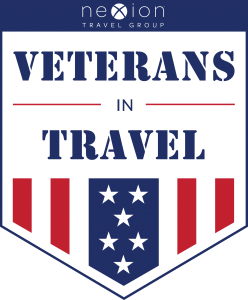 Nexion Travel Group’s Leadership Team serves on a variety of travel industry organization and supplier advisory boards and councils.